All of our clients are familiar with Micro Needling (also referred to as skin needling), the treatment is fast becoming a very popular treatment at the clinic and is one of our favourite anti-ageing treatments. The team at Youth Lab have a wide range of treatment options when it comes to Micro Needling and our focus this month is utilising the technique to perform Mesotherapy. For those of you who aren't familiar with Mesotherapy or Micro Needling; or perhaps have been considering it as a treatment option, here's a little insight on how we use Mesotherapy in conjunction with Micro Needling. Mesotherapy has a long history that can be dated back to the very roots of medicine. It is an ancient technique where doctors would puncture or inject substances primarily to treat pain. In the last century mesotherapy has been used for aesthetic purposes and subsequent techniques have developed making it one of the most popular aesthetic medical treatments in the world. Relatively new to Australia, the technique has long been popular in Europe (especially France) and we are seeing new aesthetic indications. 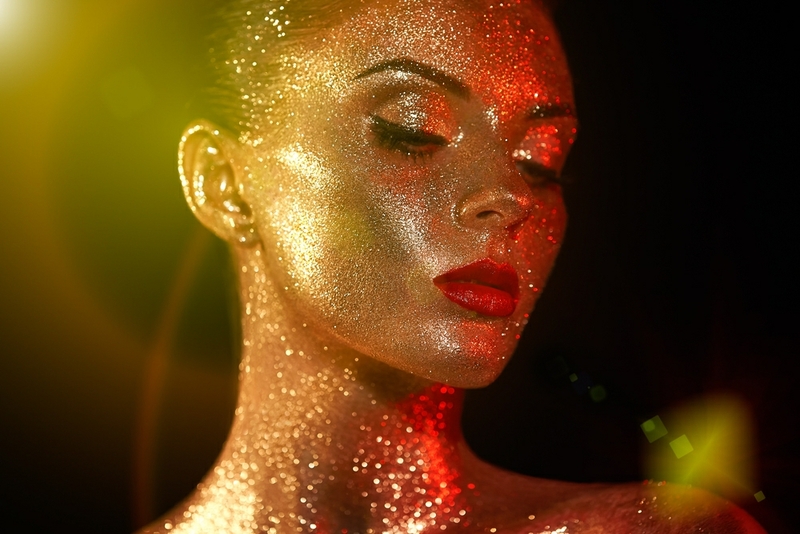 The technique can be used to treat ageing skin (sun damage, pigmentation), scarring and textural changes, cellulite and localised fat reduction as well as treating hair loss. Medically, mesotherapy is used for pain and sports related injuries but also in vascular, neurological and digestive diseases. In regards to the treatment of skin conditions; Mesotherapy is a non-invasive treatment, which uses multiple means to infuse or inject active solutions into the skin. The solutions are high in concentration and quality active substances, resulting in high levels of therapeutic response within the skin and helping further penetration of the actives used, targeting particular skin concerns as well as all round skin rejuvenation and repair. Mesotherapy generally produces quick results with minimal side effects and is a progressive technique with best results obtained after multiple treatments. It is a great option for people looking to improve the texture and tone of their skin, helping hydrate and stimulate collagen production, without the downtime! 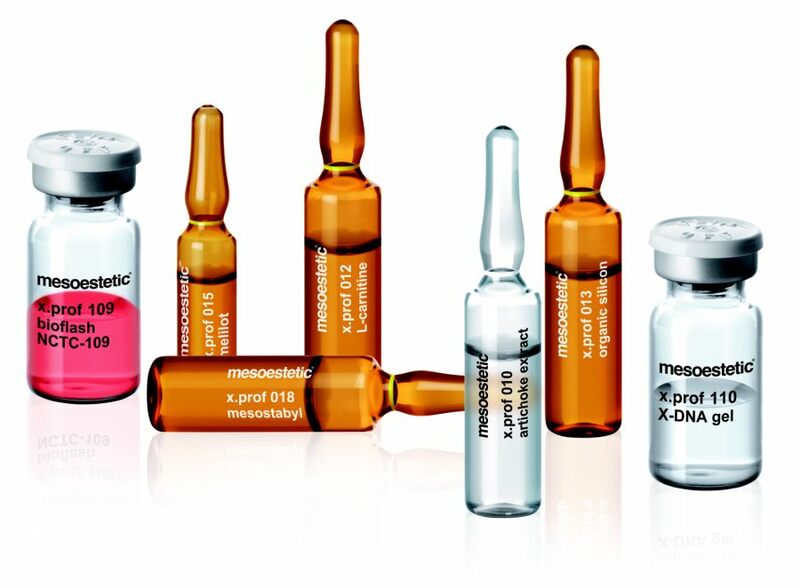 In medicine, Mesotherapy is generally performed using injections durectly into the dermis of the skin. Other Mesotherapy treatments use Micro Needling, Injection gun devices (with multiple needles) Sonophoresis and Ultrasound to penetrate the active ingredients into the skin. At Youth Lab we use our Micro Needling devise as our preferred Mesotherapy tool and delivery system. By using Micro Needling we create tiny channels into the skin which allows the active Mesotherapy ingredients to penetrate the skin directly through those channels. Micro needling can use a variety of depths from 0.25mm - 2.5mm, targeting all kinds of skin concerns. However, unlike traditional Micro Needling (Skin Needling) in which the end goal is collagen stimulation, thus using a more aggressive treatments at greater depths in the skin, we use only shallow needle depths in Mesotherapy. The end goal here is not to stimulate the skin but to infuse the Mesotherapy safely and without pain. Mesotherapy is a great introduction into skin needling for clients who haven't yet experienced this type of treatment before and can be a great starting point to your skin journey. The Mesoestetic range of mesotherapy solutions is an exclusive line of cocktails of active substances that provide efficient solutions targeted to treat specific skin concerns. The variety of active solutions included in the formula encourages natural cellular repair, while palliating changes to the skin tissues. Its pH falls within the physiological pH range between 6.5 and 7.5 - having an optimal level of skin tolerance. There is a wide variety of ampules to use, helping individualise our client's treatments to their skin concerns and needs. Here are just a few we find most popular and their benefits when used with micro-needling. An extract from centella asiatica which helps stimulate the biosynthesis of collagen in the dermal fibroblasts and connective tissues, improving cellular turnover. This active encourages repair and restructure of the damaged skin cells with re-epithelising and vasoproductive effects, increasing capillary resistance and acts as a biostimulant. Active solution containing Retinol, helping stimulate fibroblasts and inhibits collagen degradation. Retinol is a liposoluble vitamin which intervenes in the formation and maintenance of epithelial cells and prevents damage from free radical exposure. A strong combination of active substances that whitens and corrects pigment and antioxidant changes. This formula inhibits tyrosinase and slows down melanin production, helping to brighten and even out skin tone. Intense tightening effects to restore firmness and minimise the signs of ageing. Stimulating collagen and elastin production and protection from free radical damage with antioxidant properties. Minimises the signs of ageing as these active substances help fight against photodamage, add additional antioxidants, and help repair moisture and firmness to the skin. It protects against environmental factors we are constantly exposed to an corrects the appearance of fine lines and wrinkles, promoting new collagen production. A alpha-hydroxy acid derived from sugar cane. Inhibits the cohesion of skin corneocytes, enhancing hydration and skin flexibility. Glycolic acid promotes skin cell turnover, reduces congestion and actinic keratosis, and the appearance of fine lines. A natural polysaccharide which helps retain water equivalent to thousands of times its molecular weight, adding moisture, volume and elasticity back into the skin. Slowing down the natural ageing process and activating fibroblast function, collagen synthesis and skin repair. Ascorbic acid apart of the antioxidant vitamins, helps fight against the oxidative damage caused by UV exposure to the epidermal cells and also has a brightening effect. Stimulates collagen production, reduces the appearance of pigmentation within the skin cells and helps prevent against further development of pigmentation within the skin cells. Mesotherapy is a great way to boost and rejuvenate your skin back to life. Your treatment can be tailored to your individual needs and specific skin concerns, and the great thing about mesotherapy is that there is no downtime. You will be glowing and your skin will thank you for it! As with any treatment a course of treatments is always recommended for the best results.. The best results are achieved in 5 sessions, spaced 2 to 3 weeks apart. Frequency depends on the condition of the skin and the rate at which the skin works to repair itself. It is possible to combined mesotherapy with Micro Needling with other treatments such as chemical peels, anti-wrinkles injections, dermal fillers and radio frequency to maximise the result.